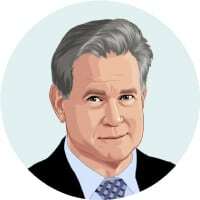 Robert Lustig is Professor emeritus of Pediatrics, Division of Endocrinology at the University of California, San Francisco (UCSF). He specializes in the field of neuroendocrinology, with an emphasis on the regulation of energy balance by the central nervous system. His research and clinical practice has focused on childhood obesity and diabetes. Dr. Lustig holds a Bachelor’s in Science from MIT, a Doctorate in Medicine from Cornell University. Medical College, and a Master’s of Studies in Law from U.C. Hastings College of the Law. Dr. Lustig has fostered a global discussion of metabolic health and nutrition, debunking some of the leading myths that underlie the current pandemic of diet-related disease. He believes the food business, by pushing processed food loaded with sugar, has hacked our bodies and minds to pursue pleasure instead of happiness; fostering today’s epidemics of addiction and depression. Yet by focusing on real food, we can beat the odds against sugar, processed food, obesity, and disease. He is also the author of The Hacking of the American Mind. HOW DID YOU GET TO BECOME AN EXPERT IN SUGAR AND DIABETES? Totally through the back door really. I studied Applied Biology at MIT and majored in nutrition and food science. What I noticed, which was very disturbing, when I went to medical school nutrition wasn’t even taught! I went from understanding all the nutritional biochemistry pathways, to basically being told it was all about calories. To be honest with you I practised that way probably from 1980 to 1996 or 1997, so about seventeen years of thinking it’s about calories and nothing was working. I didn’t know if it was because I was a crappy doctor, or because people just couldn’t do it, or because maybe the paradigm was wrong. In 1995 I moved from Madison Wisconsin to Memphis Tennessee, and worked at St. Jude Children’s Research Hospital – the children’s cancer hospital – as a neuro endocrinologist (someone who takes care of kids with brain tumours). They had a stable of kids who had survived brain tumours and had become massively obese. So it was my job to take care of them and, of course, nothing seemed to work. There was no stopping their weight. Of course this is a disorder known now in the literature as hypothalamic obesity, because the obesity is due to hypothalamic damage, and it was my job to take care of this. The question was what’s going with this? So I did a little bit of literature research and I had read that in animals when you lesioned the hypothalamus with an electrode, the animals became massively obese because their pancreases would start making excess insulin. If that’s the case then why don’t we try giving the patients a medicine that will block insulin release? So we did that experiment and sure enough not only did it work but it worked beyond anyone’s wildest dreams. They started losing weight and more importantly they started exercising spontaneously. These are kids who sat on the couch ate Doritos and slept, and now all of a sudden they were active. One kid started competitive swimming, two kids started lifting weights at home, one kid became a manager of his high school basketball team running around collecting all the basketballs. The parents would say things like “my kid is back” and the kids would say “this is the first time my head hasn’t been in the clouds since the tumour”. Clearly quality of life was being affected here not just weight, most of the patients lost significant amounts of weight. So we decided to do a double-blind placebo-controlled trial and virtually the same thing happened. Then we said this is very interesting, maybe just maybe there are adults without brain tumours who might have the same reason for their weight gain. That is they don’t necessarily have a lesion in their hypothalamus, but for some reason their pancreas is over-releasing insulin. So we did the same pilot experiment in 44 adults with obesity and we didn’t know who was who, we just took all comers. 8 out of the 44 so 18% of the total did exactly what the kids did. They lost weight, they felt better, started exercising and their insulin levels got super suppressed. So then we did a double-blind placebo-controlled trial of 172 people and guess what? The same thing happened. So what we learned from this little two-phase experiment was that it’s the biochemistry that drives the behaviour, and that insulin is the bad guy in obesity. Some people over-release insulin at the level of the pancreas, and those that do can be blocked by stopping their insulin release. The others who have insulin resistance, that is their body doesn’t respond well to the insulin signal rather than that they make too much of it, they won’t respond. So in other words you have to target pathology to see the effect. So what we did was split a group of obese patients out based on their insulin dynamics. Now this was pretty important, and it got recognition of course but people were saying “well you know only 18% your patients respond, and the other 82% are still a problem” and that was true, we weren’t doing anything for them. So then I was trying to figure out these pay people are insulin resistant, the question is why and what was going on with them? This was all happening around 2004-2005, beginning of 2006. Then I was asked to give a talk by the NIH to mark their 100th anniversary of environmental health, and the first day was on their successes like lead poisoning and pollution and asthma, and the second day was on new challenges like obesity and metabolic syndrome and ADD. They asked me “Do you think there’s an environmental exposure that could account for obesity and metabolic syndrome?”. I’m sure everybody came expecting for me to talk about some chemical in the water, or something released into the air, some environmental toxin like BPA or phthalates or soy oestrogens stuff like that. But what I did was I sat down and I started thinking to myself, what is it that kids now have that they didn’t have before? The answer was type 2 diabetes and fatty liver disease, these were unknown in children before 1980. Then I thought what normally causes type two diabetes and fatty liver disease? The answer is alcohol, but the kids aren’t drinking alcohol, but what they are drinking is sugar. So that I pulled my biochem book out, remembering what I had learned in college, and traced the pathways for fructose (the sweet molecule in sugar) and alcohol, and came to the realisation – my God – they do exactly the same thing! So I gave a talk at the NIH and said I think that fructose is the bad guy and here’s why, and everybody in the room went berserk, in a good way. My talk was just before the bathroom break and they couldn’t get people back into the room to start the next session. They were milling around in the bathroom and in the lobby basically saying, “Oh my God this makes sense”. Everyone at that meeting said you have to get this out there, and so I’ve been doing that ever since. We’ve done many studies now basically demonstrating that fructose and glucose are not the same. Fructose is metabolised by the liver only, as opposed to glucose which is metabolised by all the organs in the body. Because the liver gets overwhelmed it has no choice but to take the excess. It can’t handle the whole tsunami of fructose entering, especially after a soda, so it has to convert the rest to liver fat, and that liver fat is what gunks up the liver and causes all the chronic metabolic diseases we know today. We now have the causative proof for that, it’s 10 years later and we now know what’s going on. So now my job is to basically use this science to get policymakers to recognise the problem, and of course to get the food industry to recognise the problem. Of course they don’t want to recognise the problem because it’s potentially damaging to their bottom line. WHAT AREAS OF SUGAR ARE YOU MOST PASSIONATE ABOUT? I have a scientific interest in what seems to be the existence of three different metabolic syndromes, and I want to try to help nail those three. One is you get so fat that your liver gets sick. The second is you’re so stressed that you’re visceral fat accumulates and your liver get sick. Or number three is you poison your liver directly, which is what kids do. The thing is that a lot of these overlap. Adult physicians are studying adults who are already at end-game, they have reached equilibrium and that’s not the best time to study them. The time to study them is early when they’re developing their obesity and metabolic syndrome, not when it’s at end-stage. So trying to get the adult guys to view this as a 3-pronged issue and looking at the development of it, rather than the maintenance of it, is an important research focus. We are doing that, we’re doing a study right now. By the way I have retired clinically from U.C.S.F. to devote more time to research and policy. We are doing a study right now, I’m not going to tell you I know the answer to this yet because we’re only early on in the study, but we have a preliminary finding that is just unbelievably important. Seriously if this if this holds up over the course of study, it’s going to rewrite the book on diabetes completely. It’s going to show that everything the doctors have been doing to treat type 2 diabetes is wrong. The second thing that interests me is connecting the science to the policy. How did it work with tobacco? Tobacco was clearly a public health threat. When does a personal policy issue become a public health crisis? What are the legal challenges and what are the legal doctrines that get you to that point where you can actually say to a company you can’t do this anymore because you are, number 1 killing people, and number 2 costing society too much? What has to be in play there? I actually did 1 year of law school and obtained a Masters in Studies of Law at the University of California, Hastings College of the Law to learn Food and Drug Law and Public Health Law. So understanding the policy / legal / politics portion of this is another main interest. Then I have a third interest and that is real food works, processed food doesn’t. And real food is not what the companies are selling. So what I want to help do is create a new business model for the industry so that they can actually make money doing the right thing, instead of the wrong thing. That is obviously a big nut to crack but it can be done, and there are ways to mitigate risk, but it really does require a complete rethink and overhaul of the current food system. Obviously when we overhaul that food system we’re also going to be overhauling how we’re poisoning the environment, climate change etc. So there’s the big nut, the bigger nut and this is the overwhelmingly massive nut. My book The Hacking of the American Mind addresses this issue in different ways, it addresses it from the neuroscience point of view, what’s going on in people’s brains that this addiction crisis, depression crisis, health care crisis, social security crisis has emanated from. In the book I make the argument that there’s been a confusion and conflation of two terms pleasure and happiness. They are not the same but they’ve been taken to mean the same by industry so that they can sell you their junk and in the process become more unhappy and sicker. WHICH HEALTHTECH INFLUENCERS INFLUENCE YOU? That’s a tough question I have to say, because I’ve sort of carved out my own niche in this whole business. I suppose in research I’m inspired by Mitch Lazar who is the Head of endocrinology at the University of Pennsylvania. From an evolutionary standpoint I suppose I’m influenced by Dan Lieberman at Harvard. On the policy side I’m inspired by my immediate colleagues here Claire Brindis, Cristin Kearns, Laura Schmidt and Stanton Glantz as they’ve done enormous work in tobacco. They have reinforced the idea that an academician can actually change the world, based on the science. They have been effective role models for me and the fact that I can do this and still stand at the end of the day and don’t have to be you know discredited or taken down. Of course I’m very inspired by someone who passed away, John Yudkin, who was the first person to call sugar out back in the late 50s, 60s and early 70s, and he got buried by the industry. I don’t plan on that happening to me! I am also motivated by my good friend and the Dean of U.C. Hastings David Faigman, who is a constitutional lawyer who studies neuro science and law and has been unbelievably instrumental in helping me frame the arguments and move this whole issue forward. Also Jared Diamond who wrote Guns, Germs and Steel. He’s one of those people who can see outside and predict the future, I like people who can take what happened in the past and make it relevant for the future, because I’m sort of doing that, for better or worse. OUTSIDE OF HEALTH TECH WHO ELSE INFLUENCES YOU? There are two people who have been my role models going along over all the years, and they’re both in science. They haven’t contributed directly to my work recently but one was my ex boss here at U.C.S.F. his name was Walter Miller. He just won the Lifetime Achievement Award from the Endocrine Society. He studies the adrenal gland, so I don’t do what he does, but I watched how he did it over many years, and he basically never let anything get in the way of the Science. So I emulate him and recognize that you’re going to ruffle feathers because lots of people have vested interests outside of the science and you know you’ve just got to keep going. So Walt’s taught me a lot about life. The other person who has been extraordinarily important and we did actually published two papers together back 35 years ago, is Howard Federoff who is CEO of the University of California Irvine Medical Center. He is an endocrinologist and neuro-scientist and he is studying Alzheimer’s disease and trying to figure out what’s going on there. He has a mind like a steel trap. And then I guess one other person who inspires me in part because he makes me feel so small is my high school classmate Eric Lander, who was President Obama’s national science advisor. He is professor of biology and mathematics at MIT, and he just won the Killian award the highest award that to be bestowed upon a faculty member at MIT. He is an absolute genius, he sees the world in so many different ways than the rest of us. I was exposed to Eric very early on in high school. There’s a scene in Good Will Hunting where Stellan Skarsgård who plays the Professor at MIT says “there’s just a handful of people in the world who can tell the difference between you and me, but I’m one of them.” So having been exposed to Eric at such an early age has made me realize that I need to be humble. Because there is no way in the world I will ever be as smart or effective as Eric, he has been perhaps the most important science light in the 20th and 21st centuries, certainly in the molecular revolution. I have nothing but the highest regard for him as he is a nice guy too. So yes he is an influencer even though I don’t see him, because when I hear Eric’s done something I think I just have to work harder. If it’s a brand, it’s gonna be a problem and the reason is because I can’t endorse any brands. If a brand wants to host a symposium what they would need to do is give the money to an independent party who would then invite me. They could they could give money to the Endocrine Society as drug companies often do, and then the society can decide who’s going to be on the speaker’s list. I would not take money from industry on principle, and also because if I did the world would consider me co-opted. Part of the reason I’m effective is because people recognize that you know my vested interest is children, not money and not whatever brand people are peddling at the moment. WHICH BRANDS OR PRODUCTS STAND OUT FOR YOU IN HEALTHTECH? I could potentially get involved in the product development of a new health tech device but I couldn’t do anything for the food industry. If I aligned with any member of the food industry, that would be a direct conflict of interest. I mean if somebody was making an app that improved wellness and they want to consult with me and ask for my expertise and opinion going forward I can certainly do that. I actually call them out in my new book, in chapter 18. I basically say you know the health care industry has you know a lot of wellness apps, but if you actually look at the data none of them work, and there’s reasons why they don’t work but you know they won’t tell you, because they’re marketing their product. What’s the difference between marketing and propaganda? Marketing is using information to espouse your point of view; propaganda is about using dis-information to espouse your point of view. The difference is the truth. So when a company tells the truth they’re marketing, when a company tells you a lie then it’s propaganda, it’s that simple. Right now companies are not marketing their propagandizing their products because they don’t work but they say they do. If a company was playing by the rules and they want my opinion, I would certainly be happy to offer my opinion and if it was a long term commitment and there was money involved you know we would work out the details, but you know at no point I’m like going to endorse the product or alter my standards. Look what happened with the dietary guidelines. How many millions of people worldwide have been killed because the sugar industry altered the dietary guidelines? I swore the Hippocratic Oath, I swore to uphold and protect human life. I swore to uphold my patients as being primary.